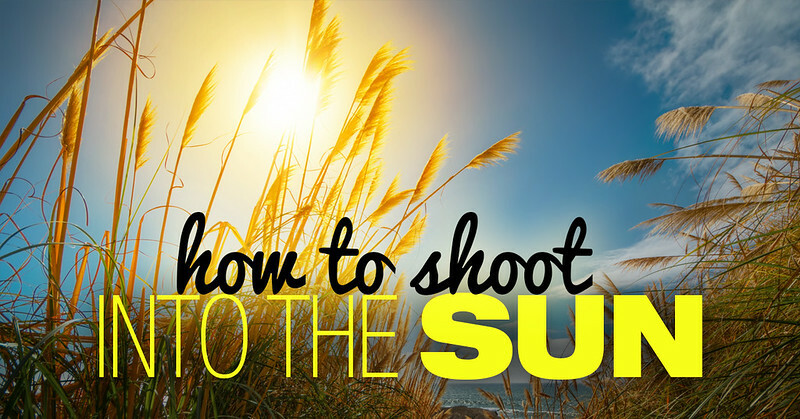 Understanding how to shoot into the sun and managing to produce technically sound and artistically interesting images is an advanced photography technique. Even so, I always encourage people—especially those recently getting involved in photography—to learn this skill. When you master the technique of shooting into the sun, you will be able to create photos that are out of reach for casual photographers and mobile shooters. This technique will help you separate yourself from the crowd. The first challenge we face is the extreme brightness of the sun and the area around it. The intense brightness can easily fool the camera’s metering system as the camera assumes that the scene is much brighter than it is and reduces the exposure, which results in underexposed (dark) shots. For me, the easiest way to overcome the challenge is to use the Exposure Compensation functionality on my camera. I often use the +1EV Exposure Compensation setting when shooting sunsets or sunrises because it forces the camera to correct the exposure by increasing it one stop to make the scene brighter. Another challenge when shooting directly into the sun is the dynamic range of the scene. Because of the extremely bright area around the sun and the dark areas caused by the shadows, the dynamic range can be enormous. It is paramount to ensure that we capture the entire range of light with our cameras. 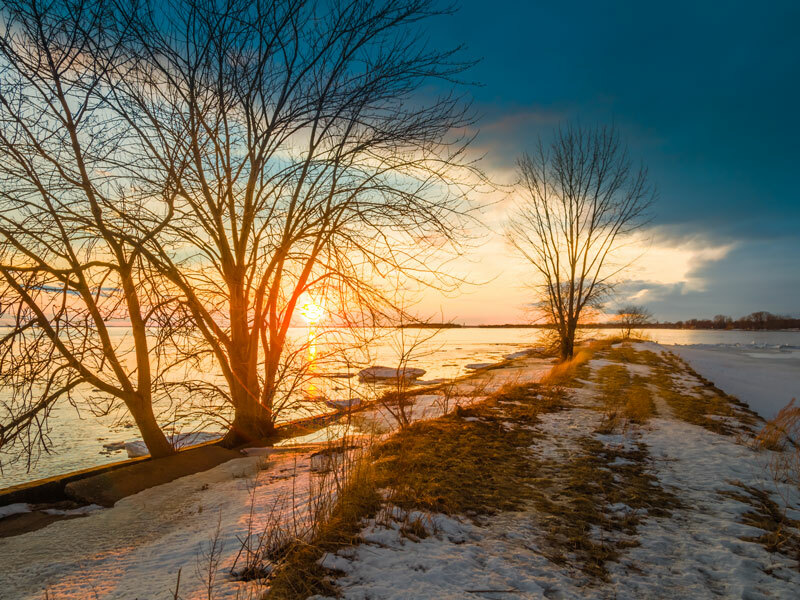 In many cases, when sun isn’t shielded by the clouds in the landscape, the dynamic range of the scene might exceed the dynamic range of your camera’s sensor making it impossible to capture the entire range of light with only one shot. This is when we rely on outstanding technology that helps us, as photographers, to overcome the limitations of our cameras—HD Photography. Today, I am demonstrating how I used the HDR technique in Lightroom and Photoshop to produce a moderately challenging photograph. I took it around Montreal a few years ago during winter. At the time, I was still shooting with my Canon and, since the sensor did not have a wide dynamic range, there was no way for me to cover the entire range of light with a single shot. The shooting part was easy. I used a tripod and took three bracketed shots with 2-stops intervals (2EV) and that was it. The sun flare was not an issue; it was completely absent. It took about five minutes, at most, before I was ready to move to another spot. The heavy lifting was done later during the editing process. Since I used a tripod and it was a very calm evening with absolutely no wind, I did not have to worry about potential problems when aligning the bracketed shots. 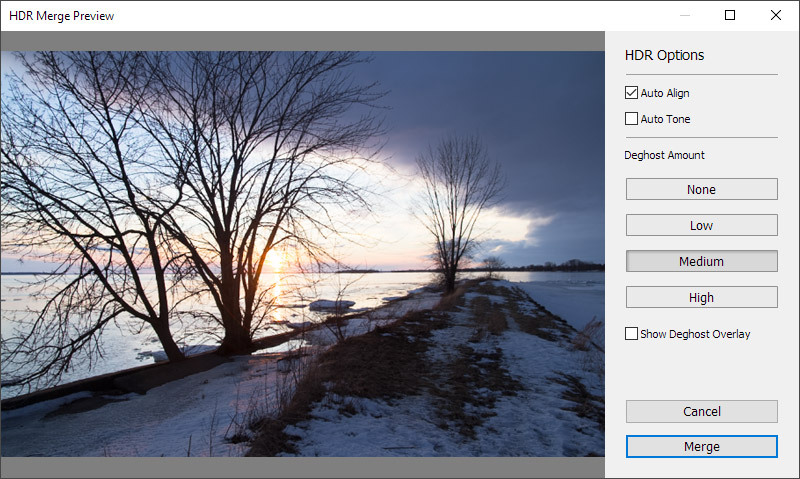 It is much more challenging to create a clean HDR image when you have moving parts in your composition or when you shoot handheld. But, this is another topic for another tutorial. Due to limited space from where I was shooting, I could not get an optimal tripod position to achieve exactly the composition I wanted. Since it was fairly close to my initial plans, I decided to adjust the composition later in the editing phase. I jumped to the Crop Tool using the “R” shortcut and made sure the horizon was perfectly straight by clicking the AUTO button. Next, I changed the aspect ratio from 3x2 to 4x3. I did not want the sun to be too close to the center of the composition so changing the aspect ratio helped me move the sun further from the center. Next, I used one of my favorite Lightroom Tools—Photo Merge to HDR—to combine three bracketed shots into an HDR image with the extended dynamic range. 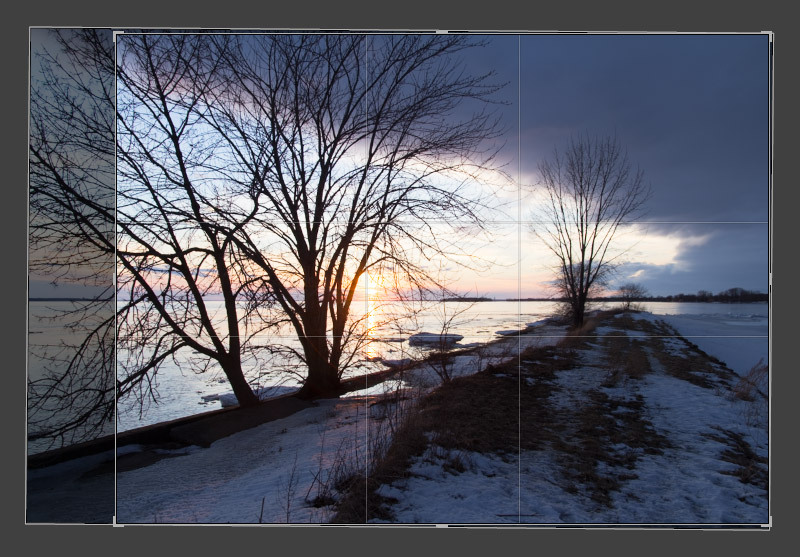 After I clicked the MERGE button, Lightroom produced a new HDR image in DNG format in a matter of seconds. This is my favorite part of the whole process—when you decide how your final photo will look. 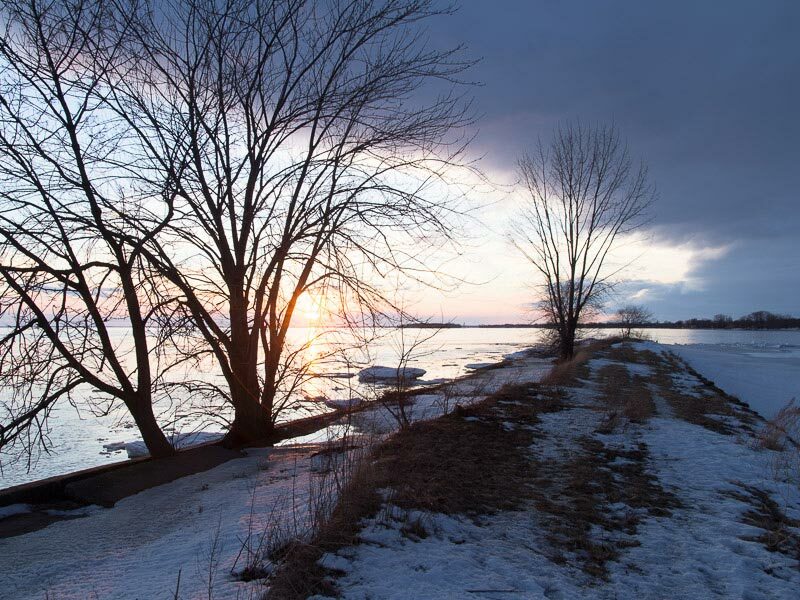 In this case, I wanted to convey the warmth and softness of the setting sun. 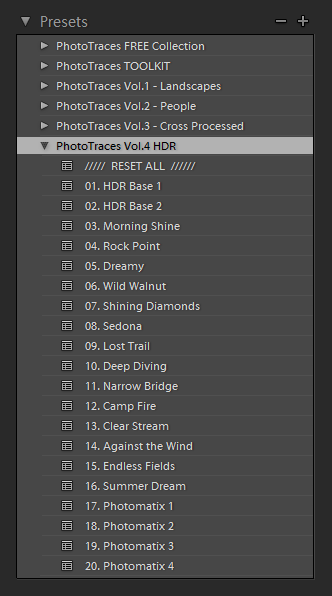 I opened the HDR preset collection and went through all 20 presets one by one. I really liked the effect that the Photomatix 1 preset produced, but I felt it was still a bit too strong. I went to the HDR PLUS collection and reduced the preset’s effect by using the Photomatix 1 80% version. 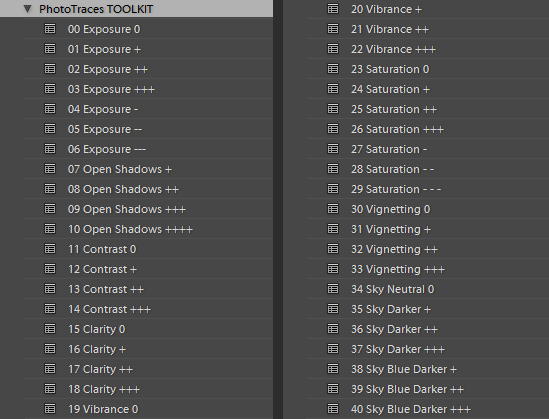 The PLUS collection of my presets allows me to reduce the opacity of any developed preset. I call it the “Virtual Opacity” functionality. And this how the image looked at the end of Lightroom editing. With the editing part in Lightroom complete, I jumped straight to Photoshop. The main reason I used Photoshop was to take advantage of the Stamp Tool, which allowed me to mask all the distractions across the entire composition. I spent at least 20 minutes cleaning the image by removing the debris, rock, grass, etc. to ensure that nothing distracted the viewer from exploring the composition. The final steps were to sharpen the image and reduce the digital noise across the entire photo. To do this, I used my favorite plugins from Topaz Labs (Topaz DeNoise, Topaz Topaz Detail). Hi, I have never shot in raw and never had any experience in any type of editing such as photoshop etc. I do have a DSLR and computer Could you please tell me where and how to start as I would like to give it a go.